Not long time ago, Jason Brown was Alexei Yagudin. I mean that a little boy, intermediate skater, performed by "Winter", same music as Yagudin won a gold medal at Salt Lake City Olympic in 2002. Also, Jason's costume was exactly the same as Yagudin. Very cute and impressive. I couldn't forget his name. 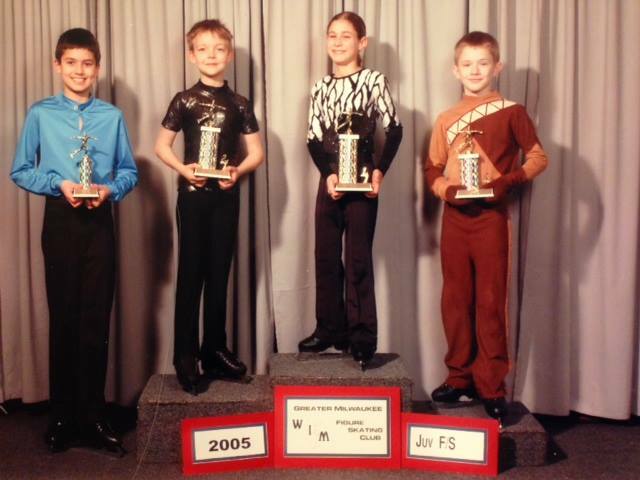 When I saw Jason Brown at first, he was 9 or 10 years old. He had already got "trademark" ponytail with his "trademark" beautiful smile. Whenever I took my daughter to the Twin Rinks in Buffalo Groves, Jason had practiced with his coach, Kori Abe. I heard Jason started with skating, since his 3 years old sister, Jordan was invited to an ice rink birthday party there. Brown had been coached by Kori Ade since age 5, made the 2014 Olympic team at age 19 and followed that with a national title in 2015. He won a fourth-place finish at the world championships. "Jason was a terror when he was little," Ade told ESPN. "I mean a crazy monster with so much energy that he didn't know what to do with it and obviously skating gave him a great outlet." That energy is still palpable in his skates today. never landed a clean rotated quad in competition. Brown missed the PyeongChang Olympic after placing sixth at Nationals. As you know, he switched his coach and join Brian Orser‘s training group in Toronto, Canada.